The editorial of Nature Electronics, an English scientific journal dedicated to what is best in the world in the area of ​​electronics and engineering research, of August 13, highlights the experimental test of the International Physics Olympics, in which the transistor was chosen as an innovative piece. The International Physics Olympiads were held for the first time in Portugal in the week of July 21 to 29 and were attended by more than 400 students from 90 countries on five continents.The more than 1000 paper transistors and their printed circuit boards were also designed, produced, tested and validated prior to the tests in the microelectronics and printed electronics laboratories of CENIMAT | i3N of FCT NOVA and CEMOP / UNINOVA, based on pioneering work which the group led by Rodrigo Martins and Elvira Fortunato have had in the area of ​​electronic paper.In terms of applications, low-cost electronics such as smart packaging, rapid diagnostic tests, smart tags for identification and tracking, security and document location, among others, are noteworthy. 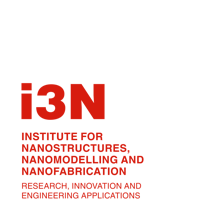 The work team is composed of doctoral and master's students from FCT NOVA and has carried out the production of more than 1000 paper transistors and their printed circuits also in paper, in the laboratories of CENIMAT | i3N.